Care Instructions: To clean the seat pad, use only mild household soap or detergent and warm water on a sponge or clean cloth. Check your stroller for loose screws, worn parts, torn material or stitching on a regular basis. Replace or repair parts as needed. (To remove pads, see instruction manual) Vehicle seat: Use a child restraint mat, towel or other cloth to protect vehicle seat upholstery. Continuous use of a child restraint may cause damage to an unprotected vehicle seat. 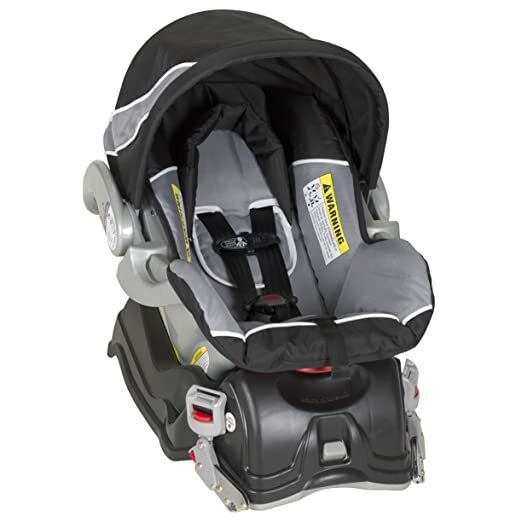 Car Seat Plastic and Metal components: Clean with mild soap and cold water. Do Not use bleach or harsh detergents. Buckle Adjuster and LATCH Connectors: Wipe clean with damp cloth Only. 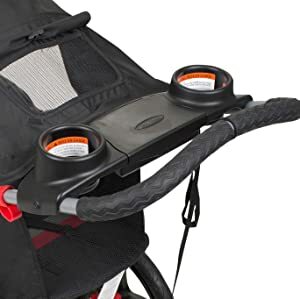 If buckle/LATCH connectors will not securely lock, Do Not use this child restraint. Do Not use lubricants of any kind on any of the components of the Car Seat and Base, including the buckle and LATCH system. Harness Straps: Spot clean with damp cloth or replace. Do Not immerse straps in water. The straps may weaken and not perform as designed. 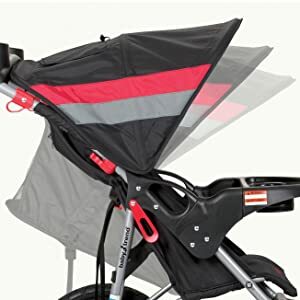 Provides a more comfortable ride and protection from the elements. Parent console has two cup holders and a covered storage compartment. 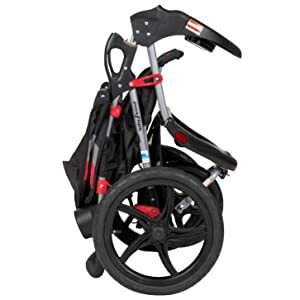 Extra wide, ergonomically shaped foam padded handle provides better maneuverability and comfort.